On Tuesday 7 July 2015, local young people from Kirklees came together with representatives of charities and some of our employees to commemorate the worst mass killing in Europe since the Holocaust. Between 11 and 16 July 1995 – 8,372 Bosnian men and boys were massacred by Serb forces in the town of Srebrenica in Bosnia. In 2009 the European Parliament declared 11 July to be the official Memorial Day to commemorate this tragedy. 2015 marks the 20th anniversary of this tragedy. 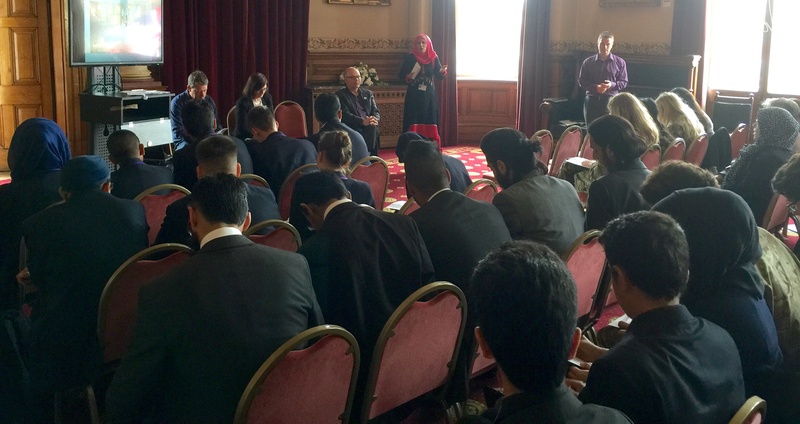 To mark this anniversary young people from Westborough High School and Batley Grammar School attended an event at Dewsbury Town hall to discuss how we can best use these commemorations to ensure that such terrible events never occur again. As well as commemorating the genocide the young people took part in a discussion with a panel of local activists, charities and council officials about the mistakes that were made that allowed the tragedy to occur, and what can be done to prevent similar things happening again. The event was also attended by members of Kirklees’ Bosnian Community.